When you collect stamps, you learn interesting things that otherwise you would have no occasion to ever know. Today, for me, it was the motto of the Dominican Republic: “Dios, Patria, Libertad” which, in English, means “God, Homeland, Liberty”. In this case, the motto appeared on a tiny un-identified stamp (unfortunately damaged) that I was searching for. The stamp also contains, which I now realize, is the Dominican Republic Coat of Arms. 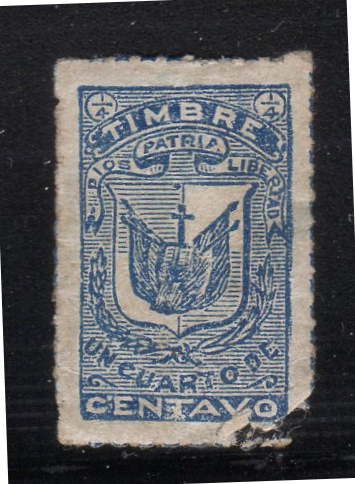 It seems that it is a revenue stamp of some sort..the “TIMBRE” at the top gives that away. I have not been able to find much more information on this stamp, including, what year it was issued. 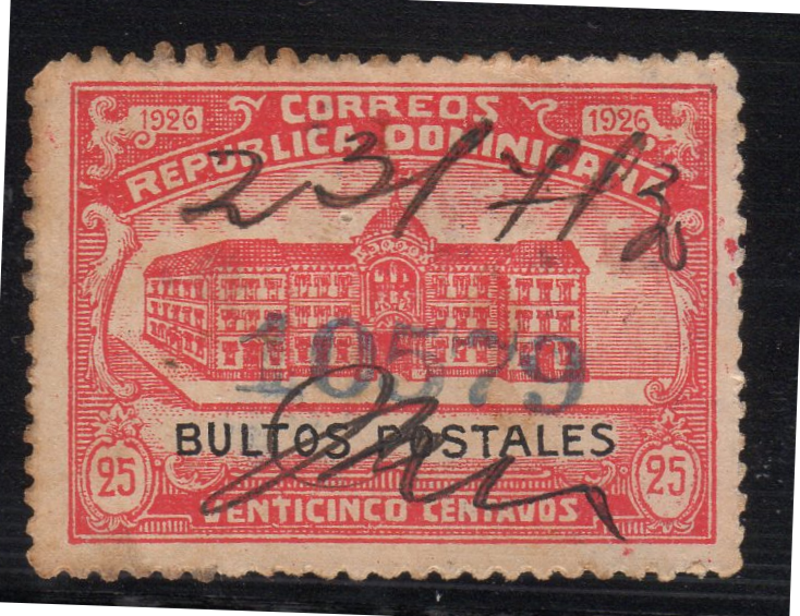 I do have an additional revenue stamp from the Dominican Republic. This one with a neat pen cancel. This one I can easily see is from 1926. I don’t have a revenue reference for the Dominican Republic so if anyone happens to have any info it would be greatly appreciated. Note: You may wonder why I keep both of these stamps, even though their condition is rough…It’s simple…They are my only copies, I doubt I will ever acquire more (on purpose)…and most importantly, I find them interesting.